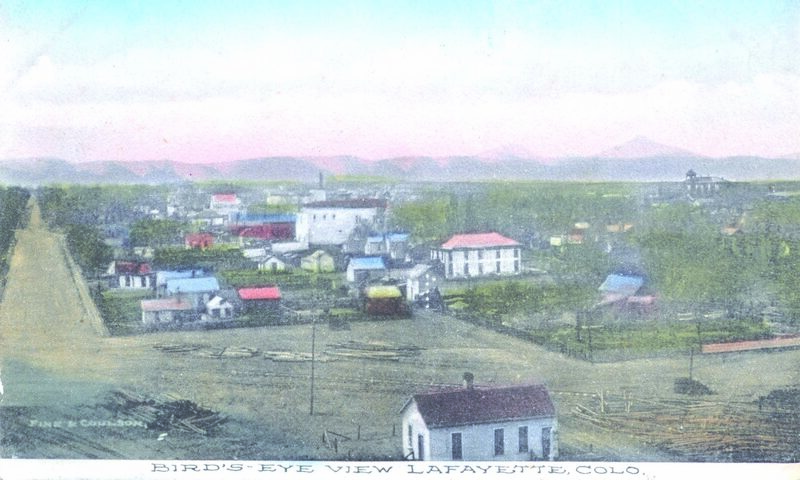 THOMAS J. MILLER, who was the first mayor of the now thriving little city of Lafayette, Boulder County, is a native of this county, and from his earliest recollections has been earnestly interested in its upbuilding and development. He occupied the office of mayor for two successive terms, giving general satisfaction to the citizens, and later he served in the capacity of justice of the peace for four years. He is identified with Lignite Lodge No. 64, Knights of Pythias, and is past chancellor of the lodge. In his political proclivities he is a Democrat, strongly in favor of free silver. The birth of T. J. Miller took place upon his parents’ farm about three miles east of Longmont, Boulder County, June 22, 1864. The parents, Lafayette and Mary E. Miller, most worthy people and pioneers of this section, were the founders of the town of Lafayette. Subsequent to the death of the father (in 1878) the family removed to a farm near the town mentioned and here our subject grew to manhood, his education being acquired in the district schools. In 1887 he took a position as a stationary engineer, and being a thorough and practical mechanic and a conscientious, careful man, his employers placed the utmost confidence in his skill and judgment. For some time he was in charge of the engines of a mine owned by the Citizens’ Coal Company. In 1895 he turned his energies to the sale of farm and mining implements and tools at Greeley, but at the close of the year, when he cast up his accounts, he found that the business was not paying him and he returned to the old homestead. Here in partnership with his two brothers, Charles L. and George I., as Miller Brothers, he began the cultivation of the farm. In 1896 he purchased a threshing machine, which he runs during the season. September 2, 1890, Mr. Miller married Miss Sarah Abernethy, whose father, Thomas Abernethy, came to Colorado in 1883 and was one of the first settlers of Lafayette. He is a native of Scotland, and upon his immigration to America in 1864, settled in Pennsylvania. There he lived for a number of years, working in the coal mines. To Mr. and Mrs. Miller three children have been born, but only one remains to them, namely: Mollie A., born March 29, 1897. A little son, Lafayette, and the eldest child, Maggie Pearl, died in infancy. Our subject and wife have many sincere friends in this vicinity and enjoy the respect of all who know them, here or elsewhere.